Such vast amounts of waste provide great opportunity for creative entrepreneurs with a mission. Enter Winnow Solutions, a UK-based start-up launched by Marc Zornes and colleagues. Marc, a former McKinsey consultant, was one of the authors of McKinsey’s 2011 Resource Revolution report. The report — which investigated the challenges and opportunities in meeting the world’s energy, materials, food, and water needs — grouped more than 130 “potential resource productivity measures into areas of opportunity” and prioritized the top 15. Of those, reducing food waste ranked third, following building energy efficiency and increasing yields on large-scale farms. Winnow Solutions’ founders recognized the opportunity in the hospitality and restaurant sector — an area with considerable food waste and a lack of robust tools to track it. Knowing that organizations tend to manage what they measure, and seeing the potential cost savings from such measurement, Winnow set out to fill the need. Winnow Solutions draws its name from an agricultural term referring to separation of the grain from the chaff, or the good from the bad. The company builds on this theme by highlighting the value in food (the good) that goes to waste (the bad) in company kitchens. It’s a meaningful distinction — with growing global resource challenges we can no longer afford such waste — we need to unlock the value in excess food and put it to productive use rather than sending it to landfill (where it creates environmental problems). The “waste” is really “excess” with potential. 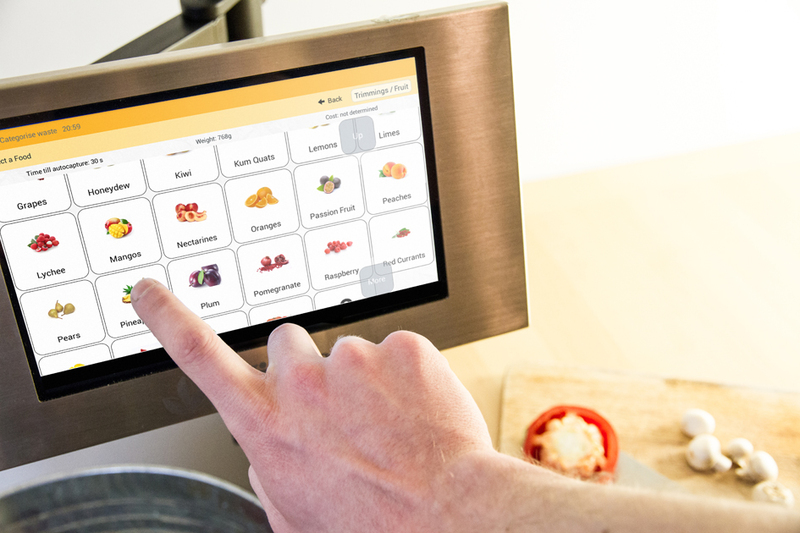 Winnow feels that over half of kitchen food waste can be prevented. By providing organizations with the ability to identify and measure food waste in granular detail, Winnow allows organizations to generate substantial cost savings (through reduced food purchases and reduced trash hauls) which fall through to the bottom line. The company feels that it can improve net margins in food service operations from 20 to 80 percent. Clients can benefit further by benchmarking performance across multiple locations. They also benefit from improved employee morale and gains in customer loyalty as both groups are inspired by the sustainability focus. Add in the environmental gain from reduced landfill use, and you have a triple bottom line benefit. Winnow has partnered with the Sustainable Restaurant Association, working with London restaurants through the FoodSave program (a forward-thinking project funded by the Mayor of London, the European Regional Development Fund, and the London Waste and Recycling Board) to 1) reduce avoidable food waste and 2) ensure the responsible disposal of unavoidable food waste. Winnow’s work with one organization resulted in an annual savings of about $16,000 (US dollars). Annual savings for another exceeded $8,000 with a reduction in organic landfill deposits of about 1.3 tons (an important environmental benefit in terms of reduced greenhouse gas emissions). FoodSave estimates that 75% of food discarded at UK restaurants could have been eaten, and the other 25% could be disposed of in a more environmentally-friendly manner. That combination provides great opportunity for start-ups. Kudos to Winnow Solutions for embracing it. See their website here.